Estate planning may be one of the most important and private processes an individual will complete in preparation for his or her future and the time after passing. Nevada residents may recognize the need of a will or a trust, but they may procrastinate because they do not have the necessary knowledge to make informed decisions. Estate planning may include a will as well as one or more trusts. Before making these choices, an individual may need to gather some related information. In a will, one would define beneficiaries and one’s choice of the guardians who will take care of minor children upon one’s demise. If there are incapacitated beneficiaries and minor children who would need to be financially supported, a trust is the appropriate document. Estates like this will typically be settled through probate upon death. However, to avoid a costly and lengthy probate, one can establish one or more living trusts. 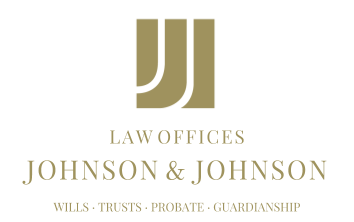 By setting forth particular requirements in your estate, an individual can essentially probate his or her estate while still alive. A living trust can be revoked or amended at any time, and one can potentially save significant amounts on taxes and administrative fees. Estate planning certainly needs careful consideration of various options and procedures. It may be confusing or even intimidating, but it does not have to be seen as a mountain to climb. Nevada residents may optimize the available help to protect their assets and provide for their families when they are no longer there, while also protecting their estates from excessive taxes and penalties.